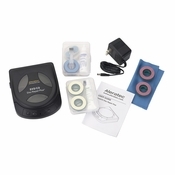 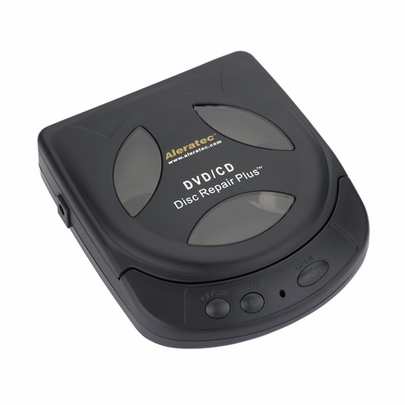 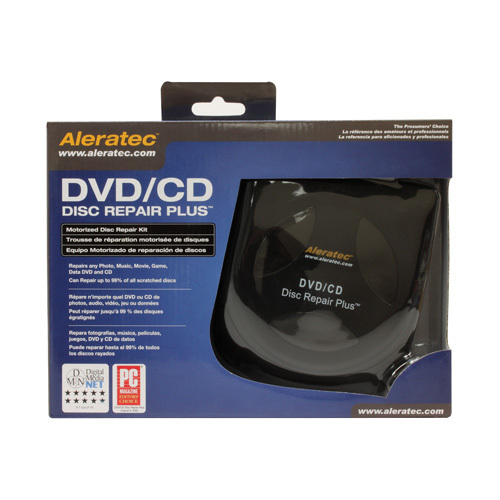 Aleratec DVD/CD Disc Repair Plus is a patented, motorized system that can repair and clean up to 99% of all scratched DVDs, CDs, Game Discs, VCDs, DVD+Rs, DVD-Rs, DVD+RWs, DVD-RWs, CD-Rs, CD-RWs and Masters that are used in an Aleratec Duplicator, without the hassle that comes with a manual cleaning kit. It comes with three different sets of wheels - Repair, Cleaning, and Buffering making fixing scratches as easy as 1-2-3. Open the lid, put 3 drops of repair solution on the repair wheel, insert the scratched disc and press "Repair". 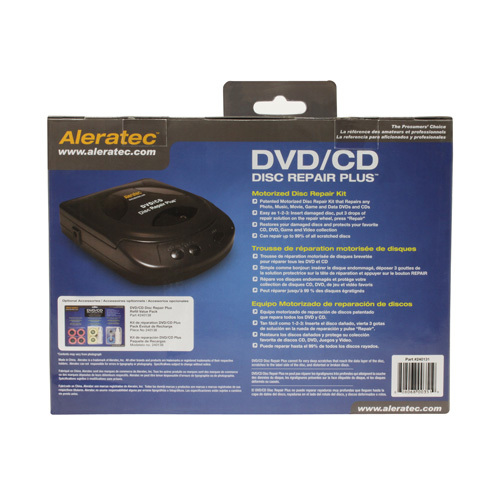 It comes with three different sets of wheels - Repair, Cleaning, and Buffering making fixing scratches as easy as 1-2-3. 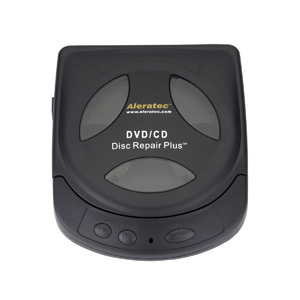 Open the lid, put 3 drops of reapair solution on the repair wheel, insert the scratched diasc and press "Repair". 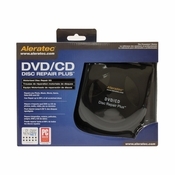 Easy as 1-2-3: Insert damaged disc, put 3 drops of repair wheel, press "Repair"
Warning This product can expose you to chemicals including Bisphenal A (BPA) and Lead, which is known to the State of California to cause cancer and birth defects or other reproductive harm. For more information go to www.P65Warnings.ca.gov/.